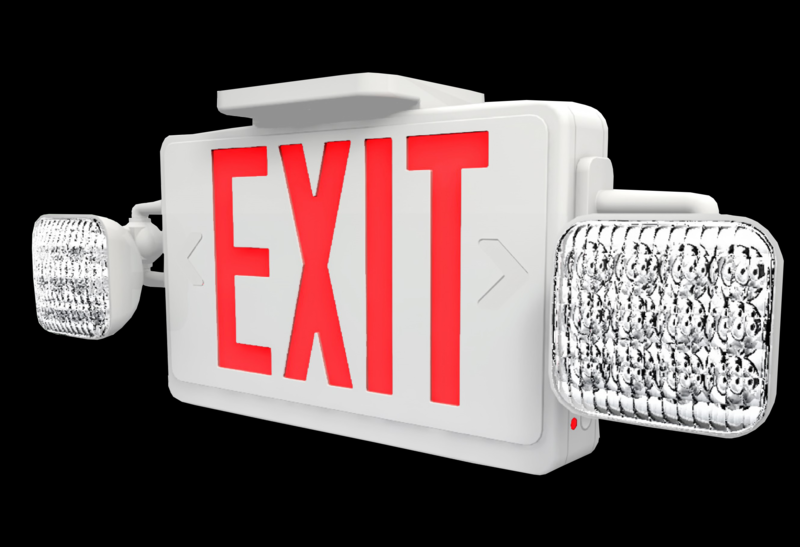 The EME provides energy efficient, long-life red or green LED exit sign illumination. There are eight LEDs per head (1 watt total per head). The lamp heads are adjustable to allow for optimal center-to-center spacing. The EME possesses a 9.6V long-life, maintenance-free rechargeable NiCd battery. A fully automated solid-state, two-rate charger initiates battery charging to recharge a discharged battery in 24 hours. An included easy snap mounting canopy allows for top or end mount.